Being an ex-soldier, I don’t believe in calling technicians to do some of those odd jobs in my home like simple repairs. I believe in keeping fit and being active like I was during my days in the army. Of course, age is getting the better of me, and I can’t manually fix some of the things. That’s why I get equipped with the best tools to ensure that I work smoothly. There’s a time I needed to join pieces of wood together, and I realized all the tools I had in my toolbox couldn’t get the work done. That’s when I realized the importance of having a biscuit joiner commonly referred to as a plate joiner. I set out to establish the best biscuit joiner on the market and came across numerous brands. Among the brands I came across, some got the job done while others broke down even before I could complete the task. For today’s discussion, I will ignore the cheap flops and major on the items which proved worth buying. For this Chicago Electric plate joiner, I wouldn’t call it “the best” item on the market. However, it got the job done and proved quite impressive. I have included it in this list of the best biscuit joiners for several reasons. One of the reasons is the fact that it comes with a powerful 6 amp motor which delivers an incredible 10,000 RPM performance. The 1-1/8’’ fence with a tilt angle of up to 45 degrees guarantees ultimate performance ensuring that you have excellent results. 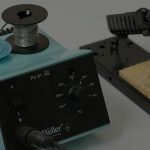 The dust port which comes with preset depth to work on biscuit sizes of 0, 10 and 20 also makes this Chicago plate joiner a must-have item. 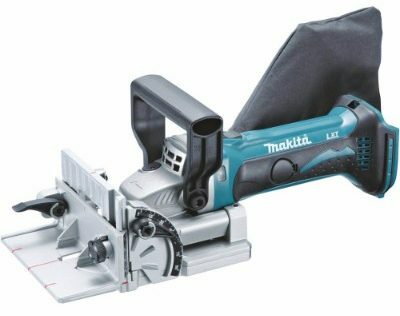 It’s quite effective: Inasmuch as it might not give the best performance, this plate joiner is considerably effective compared to most of its competitors. 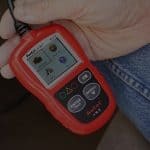 It’s fairly affordable: The price is pocket-friendly making it quite convenient for anyone who wants to have great results without hurting their pockets. Engineered for accurate fence adjustment thanks to the rack-and-pinion fence system, this is another plate joiner I found irresistible. I admit I didn’t have much experience with biscuit joiners at this time, but I could see that this was something worth buying. The cast aluminum pivot fence which boasts three stops at 0, 45 and 90 degree makes this plate joiner quite reliable and valid. Additionally, I also found the easy centering on ¾ inches quite impressive. With six depth setting and single-touch stops at 0, 10 and 20, you’ll definitely love this tool as well. 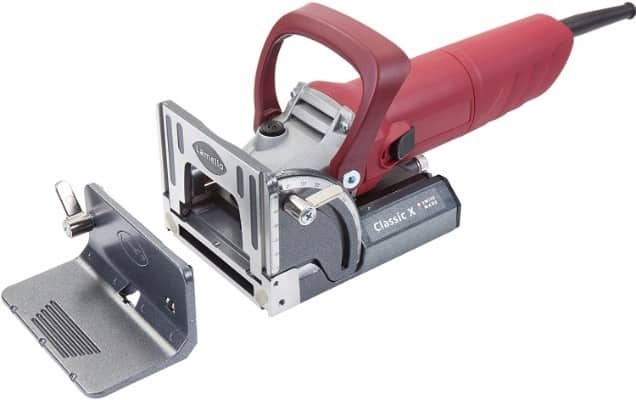 It offers a cordless operation: With a cordless operation, this is a conveniently portable biscuit joiner which is ideal for use in the field. It boasts large and easy to use cam locks: These cam locks offer ideal and convenient fence adjustment. 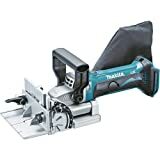 Makita PJ7000 joiner is another product I’d recommend to anyone looking for top-tier performance. 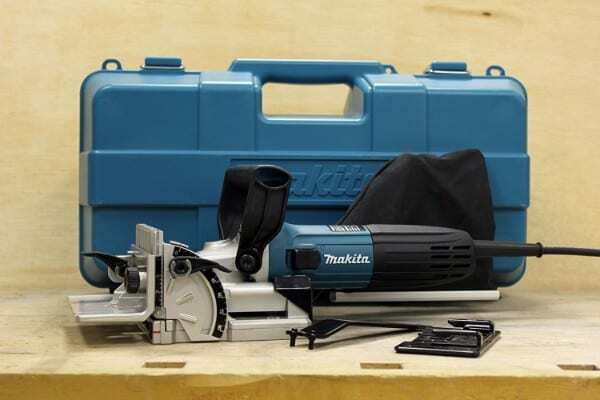 The powerful 5.6 AMP motor which delivers 11,000 RPM performance guarantees a quick and precise cutting ability. It can cut through a variety of wood types with unrivaled precision. Just like its earlier sibling, the XJP03Z model, this biscuit joiner boasts a rack-and-pinion vertical fencing system which is specially designed to offer accurate fence adjustments. I was also impressed by its cast aluminum pivot fence which boasts three positive stops of 0 degrees, 45 degrees and 90 degrees. You’ll also find the six depth settings with single-touch stops at 0, 10 and 20 sizes incredible. It comes with great cam locks: The great cam locks which are extremely easy to operate offer accurate fence adjustments. It has an ergonomic handle: The ergonomic top grip handle offers easy handling thus ensuring that you work comfortably. Okay, this isn’t a single item but a kit with every required tool. 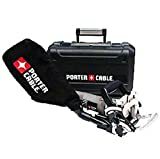 I found this full package ideal for anyone who doesn’t have the time to go around looking for each tool on its own. It offers seven cutting settings and can work on a variety of wood types. I was also extremely keen on the motor. 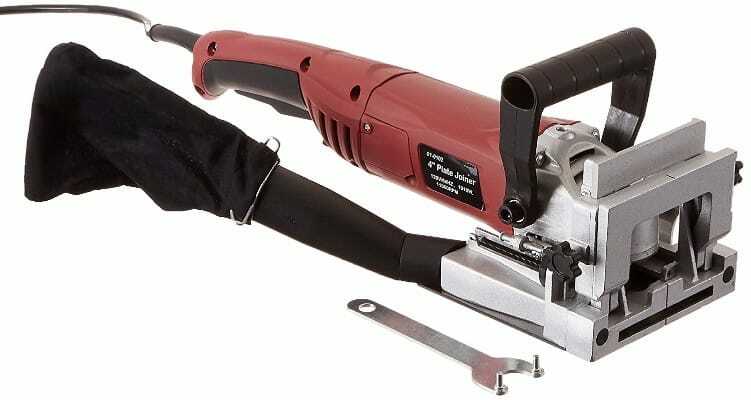 And yes, with a 7-amp motor which can crank a big 10, 000 RPM blade rotation, this biscuit joiner isn’t one of those cheap flops you see on the market. Its fence can tilt from 0 to 135v degree with a positive adjustable stop at the 90 degrees. The numerous depth options also guarantee ultimate performance. It’s extremely effective: Given its high-grade motor, this is a highly reliable biscuit joiner which guarantees ultimate performance. 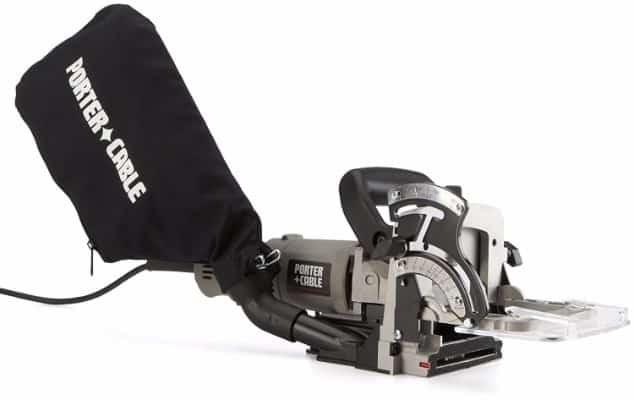 It’s a full package: This is a full package coming with a blade, spanner wrench, dust bag, centering plate and a chip reflector for ultimate performance. Lamello standard biscuit joiner another great product you need to add to your cart. It features an advanced design which makes it unique. The new base plate with swiveling front-and-stop square for easy positioning at the edges gives it an exemplary performance. It also introduces a new and advanced 780W motor which cranks exemplary blade rotations. If you want performance on a whole new level, I’d recommend this biscuit joiner for you. It boasts a long-life guidance system: The long-life guidance system offers accurate parallel grooves thus delivering a perfect alignment. 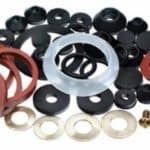 It comes with CNC high-precision parts: The CNC high precision parts also give this biscuit joiner ultimate performance. 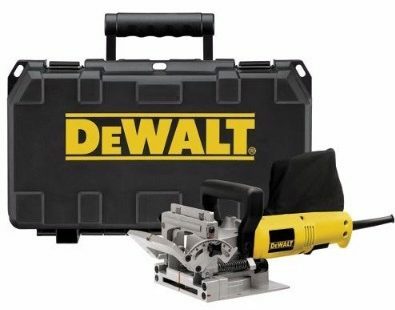 I have several DeWALT products, and none of them has disappointed me. From the very first sight, I knew this biscuit joiner was a real bang for my hard-earned bucks. The sturdy and top-grade construction gives this plate joiner unsurpassed durability making it a must-have item for any homeowner who wants to get busy with wood. The easy to use design adds to its excellent features making it a must-have item while the lightweight and compact design makes it ideal for daily use. 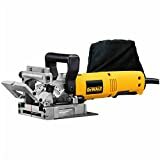 If you’re looking for something for a biscuit joiner you can use daily and never complain, I’d advise you to consider this DeWALT plate joiner. The 45 degrees locating notch on the fence ensures that you get a perfect finish. And yes, the 0-90 degree fence tilting will ensure that you never have to worry about precise cutting. 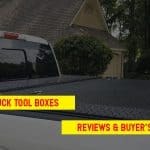 Furthermore, it has a cast aluminum construction to deliver long-term use. It has a powerful motor: the 6 Amp motor delivers incredible motor rotation making this product quite effective. It boasts a dual rack-and-pinion fence design: The dual rack-and-pinion design ensures that you have great results and top-precision. Finally, The TruePower biscuit plate joiner wraps up my list and scoops the top position. As much as I picked this plate joiner for various reasons, I must admit that the selection process wasn’t an easy task. Of course, I chose it based on my personal preferences and requirements. However, that’s not to imply that the other ones are inferior by any means. One of the reasons why I preferred this biscuit joiner over the rest is the fact that it has a 1010 watt motor which delivers 11000 RPM rotation. Another reason is its maximum cutting depth of 0.55’’ and a cutting angle of 0-45v degree. With stops at 0, 10 and 20 sizes, you’ll love it. It comes with a tungsten tipped blade: The tipped blade delivers a precise performance and guarantees a long-term use. It’s backed by a one-year warranty: With a 1-year warranty, your purchase is secured. They make the work easier: They make joining of woods easy: Imagine having to do the job done by plate joiners manually? It would take an eternity for you to accomplish what a plate joiner can accomplish in a matter of seconds. It, therefore, follows that biscuit joiners make work easier for you. They’re compact: Unlike those large working tools, biscuit joiners are small and offer easy usage. Given their portable nature, you can easily use them on almost everywhere including on the field. They work on woods of different thicknesses: As you might have noticed from the review above, joiners can work in a customizable manner. You’re given the opportunity to decide on the thickness of the wood as well as the depth you intend to achieve. We all look for different things in any tool. Some want the cheapest while others want the most powerful. In the list above, I have included the cheapest as well as the most powerful. Based on what you consider important to you, grab one of these biscuit joiners have excellent working experience.